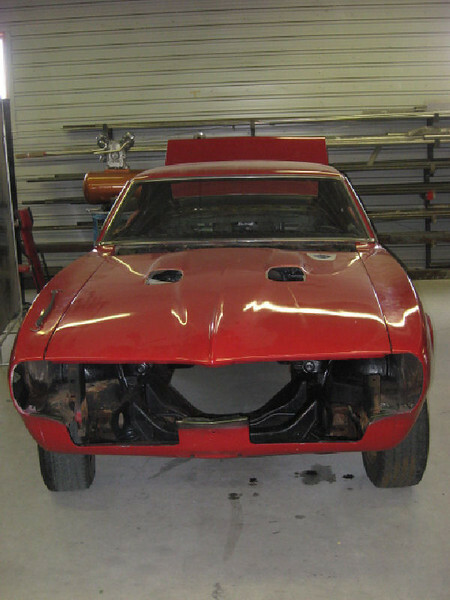 This '67 Firebird will be acid-dipped to see what's needed to restore the body. As it turned out lots of body work is required and it is progressing nicely. The final plan for the car is to keep the body outwardly stock looking but to upgrade/modernize all the mechanicals. This includes a narrowed 9 inch Ford rear end, an all-aluminum 468ci Pontiac engine with EFI, 4 wheel Wilwood discs, front and rear Hotchkis sport suspension and a 6 speed TCI trans with custom torque converter. It should make into a nice street machine. This project went home for a bit, customer did some of the assembly, and it is now back with Lowdown to have some final assembly done.